I enjoy reading about strong women heroines in fiction and in history. Sometimes the fictional women might appear over the top or unrealistic. Historically, though, women have proven themselves to rise to a challenge—especially when it means remaining with or protecting family. Recently, I was reading about heroines of the Old West in Mike Wright’s WHAT THEY DIDN’T TEACH YOU ABOUT THE WILD WEST. An Apache woman named Dilchthe was a middle-aged grandmother captured by Sonoran mercenaries at then Esqueda, Mexico south of present day Douglas, Arizona in the mid 1860’s. 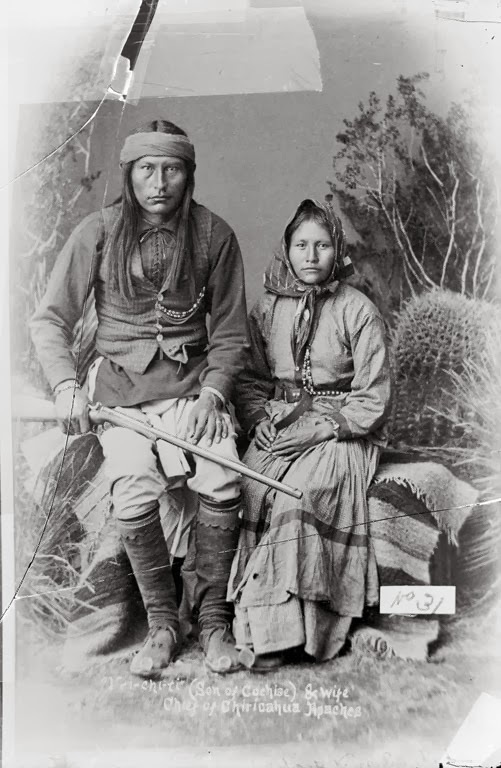 Dilchthe and several other women watched the Apache men executed and were then herded toward the Gulf of California. There they were sold into slavery and shipped across the Gulf to a penal colony on the Baja Peninsula. Many of the women died there, but Dilchthe hung on to life. She was sold again with several women and put to work at a nearby hacienda. 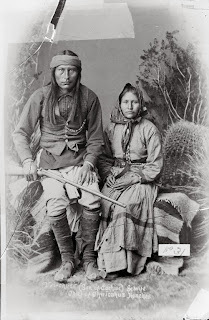 Of course we have no idea what Dilchthe looked like, but I'm including several free photos of Apache women to give readers an idea. 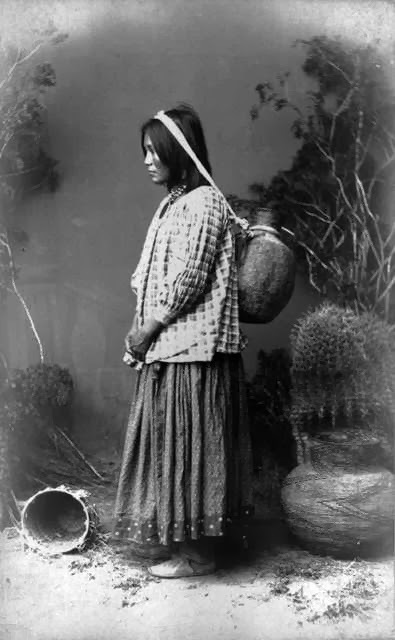 Above is a San Carlos Apache Woman. She was treated fairly at the hacienda, but she wanted freedom. Wouldn’t we? She hid food and planned her escape to return to her family. I wonder if she realized how far from them she had been moved? Finally, she freed several other women and they escaped. They traveled only at night and Dilchthe led them north along the Gulf. The women evaded the mounted guards sent to track them down and bring them back. Even conserving supplies, they ran out of food. They ate insects and desert plants. At the mouth of the Gulf, the faced crossing the Colorado River. Imagine how forceful this river was before damning and pumping to large cities commenced a hundred years later. None of the women raised in the desert could swim. Dilchthe promised the women she would find a way. She made friends with an elderly Mexican man who told her where she could safely ford the river. The women pushed northward to the spot the man had described. This was at the confluence of the Colorado and Gila Rivers and later became the site of the Yuma Territorial Prison. Of course the women were afraid, but Dilchthe waded into the water. Her feet struck a sandbar and she waded across the river, followed by the other women. Near the Yuma Valley, the women met sweltering heat. She insisted they follow the river, and they persevered for she knew the mountains held powerful enemies. Three nights after they crossed the river, a band of Yuma (also called Mojaves) raiders ambushed them. Only Dilchthe and one woman survived by fleeing into the brush. Again they were hunted, but Dilchthe walked over the hot, mostly dry, river bottom past Gila Bend and present-day Pheonix. They skirted Puma and Papago camps and villages. Can you imagine crossed that area with no water, no food, and weary from trudging so far? These two women were strong! They were too weak to travel at more than a slow walk, and almost crazed from hunger and grief. At a spot near present day Safford, they collapsed. Dilchthe managed a signal fire. Incredibly enough, the man who saw the smoke was Dilchthe’s son in law. She and her friend were saved. She had walked more than a thousand miles to be reunited with her family. Can you imagine her welcome as a hero and how her stories were retold again and again? She had outmaneuvered pursuers, carried no map, no weapons, and almost no provisions. I love this story. We never know what we can do until we are faced with the challenge. Would you be like Dilchthe or one of those who was killed? Another story of trekking across the land from Central Texas’ Hill Country to North Central Texas is my new book, THE MOST UNSUITABLE COURTSHIP, now available at Amazon and Smashwords. Please join me on October 30 for my Facebook Official Launch Party at https://www.facebook.com/events/680138592007079/?ref=2&ref_dashboard_filter=upcoming with lots of giveaways. Why would a Canadian set her story in Texas? My sister and I had whooping cough. I was five; Joanne was two. She was the reason we had to seek out a warm, dry climate for Christmas instead of visiting family in Montreal. Since my parents weren’t exactly flush with funds, they packed up my father’s company station wagon and we drove south, headed for Mazatlan. With the self-centered clarity of a child, I only remember the parts of the trip that had an impact on me. I remember the switchback roads in the mountains. Dad loved them. Mum and Joanne were throwing up. Me - who was car sick on a straight road - was morbidly fascinated by the sheer drops out the side window. I remember eating peeled shrimp like candy... and my first real pineapple. When we finally reached the beach, I stepped on a crab and was scared of the sand for years after. For some reason, I also remembered Laredo. I don’t remember much about the town except the name. It etched itself on my consciousness; the sound of the word was as exotic and exciting to me as Paris or Istanbul might be to someone else. Traveling to Mexico became a family habit for a while - especially after we acquired a camper. It was in the camper that I started reading Zane Grey and Louis L’Amour. I had run out of Georgette Heyer and had not yet developed an interest in the mysteries my mother brought along for the trip. Dad gave me a copy of Riders of the Purple Sage, followed a couple of L’Amour’s short story collections. Suddenly I started taking an interest in the country we were travelling through. The United States - particularly Texas - ceased to be a geographic obstacle between home and our destination. Stifling a laugh that I would have paid dearly for, I suggested they visit Texas while they were there – and bring back guide books. I was setting my mystery in the old west. Our recent trip to Montana and Wyoming was rather spectacular. We stopped at museums and tourist attractions that caught our attention, as well as some national parks including the Theodore Roosevelt National Park in North Dakota where we saw a wonderful herd of wild horses, including this beauty, and Yellowstone, where we saw buffalo, and buffalo, and did I mention buffalo? Then we hit Cody, Wyoming. Officially incorporated in 1901 by Buffalo Bill Cody and several others, this little town stole my heart. The Buffalo Bill Historical Center hosts five separate museums, Buffalo Bill, Natural History and the Greater Yellowstone Area, Plains Indians, Western Art, and Firearms. It is all phenomenal and the gun museum exceptionally spectacular. Here are a couple ‘inventions’ that never quite made it. A prelude to the Swiss army knife, (invented in 1892) was this multifunctional folding knife with a .22 caliber pistol invented in 1880. Yes it is huge and will not fit in a pocket! And this was an attempt to make a repeating pistol in 1866. On a side note, here is the gun Hoss wore on Bonanza. After that museum we visited a place called “Old Trail Town” which was fabulous. The cabins, well over a dozen, had all been donated by the land owners of where they had been originally built. Volunteers tore down the cabins log by log, numbering each long, and then rebuilt them. Several of the cabins had been used by Butch Cassidy, The Sundance Kid, and the Hole in the Wall Gang. Visitors were allowed to walk inside each one, which are furnished with period and area antiques. To me, this little town was the highlight of the trip. Among other amazing things, John Jeremiah-Liver Eating-Johnston—the inspiration for the 1972 movie, Jeremiah Johnson starring Robert Redford is buried at this trail town. The shopping there was lots of fun, too. Of course they had your usual tourist shops, but I like to visit antique and pawn shops, and found two there that were amazing. If you enjoy old west museums, I’d recommend adding Cody, Wyoming to your must-visit list. “Can you help us or not?” a demanding voice asked. Chayston couldn’t remember disliking someone on sight, but it was happening. This woman was making his stomach ferment like a barrel of apples turning into vinegar. Chayston didn’t bother glancing her way. He’d already known her name and where she was from. “How long have you been pushing this thing?” Chayston asked, interrupting Riley before he could say more. While writing LAKOTA HONOR I did a fair bit of research. One of the things I researched extensively was coal mining in the 1800’s. I came across some pretty interesting and disturbing facts about mining back then. However, what I found the most disturbing was that children were called to work in these mountains and did so up until the end of World War I. In an earlier blog for Cowboy Kisses I talk about Coal mining and the dangers that lurk in the belly of the mountain. I posted a picture of a group of youngsters working in a mine but never delved into what life was like for them. I look at my twelve-year-old son and I couldn’t imagine him crawling around the inside of a mountain, putting his life in danger every day. I think about what these mothers must've gone through each day sending their child to work not knowing if they'd return safe. 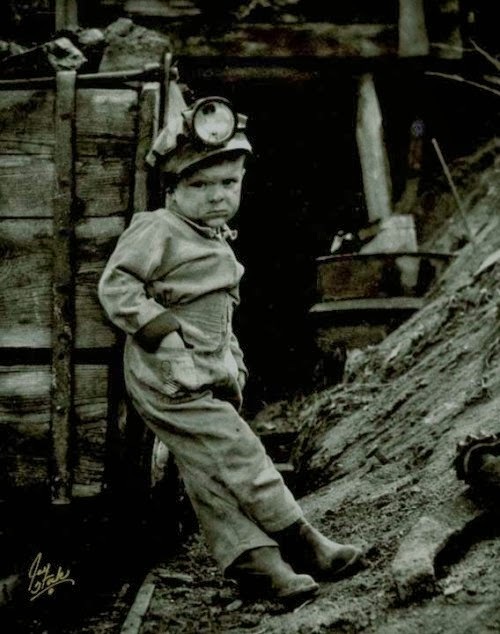 This is a seven-year-old boy in a Welsh Coal mine. Crouched over a barrel boys picked out slate and other refuse from the coal for hours and hours. As they grew their shoulders hunched forward and their backs rounded, making them look far older then what they were. The coal is hard, and cut, broken or crushed fingers were common among the boys. Sometimes there are worse accidents; a boy falls down an open shaft to be pulled out later broken and dead. Cave in’s are a grave danger to these young boys who are small enough to crawl into the tiniest of places and help set dynamite, or pick away at a vein of coal. 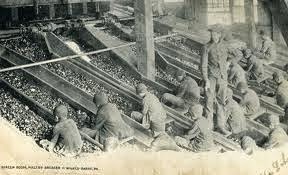 Miner’s consumption: pneumoconiosis A chronic disease of the lungs would eventually affect these boys, a result of repeated inhalation of dusts, including iron oxides (e.g., rust and filings), silicates (e.g., talc and rock dust), and carbonates (especially coal dust). Particles collect in the lungs and become sites for the formation of fibrous nodules. As the disease progresses, fibrous tissue increasingly replaces elastic lung tissue. Loss of lung function is signalled by shortness of breath, wheezing, coughing, and difficulty in expectorating. Sufferers are particularly vulnerable to infectious lung diseases such as tuberculosis. 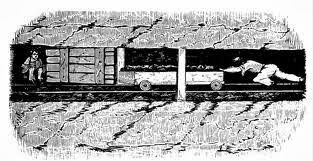 Pneumoconiosis is incurable and treatment is purely symptomatic. Because the inhaled dusts cause darkening of the lung tissue, the disease is also known as black lung. Silicosis, the form of the disease prevalent among miners, is commonly called miner's lung. Authors Retreat & Bullies Beware! Today, rather than talk about the Old West, I’d like to share with you my inspiring weekend with fellow members of Yellow Rose Romance Writers. Based in Grapevine, Texas, northeast of Fort Worth, we are a small, intimate chapter of RWA. Once a year in October, we invite our members to a weekend retreat to talk writing and enjoy each other’s company. We just spent two days in a gorgeous residence on Eagle Mountain Lake, a few miles west of my home. Awesome surroundings, good food, fellowship and a few glasses of wine made for great fun! Best of all, our special guest, isten Lamb, presented a fantastic workshop on the use of Social Media, blogs in particular. Kristen is a smart, funny lady who entertains while she teaches. She had us all laughing at stories about her “spawn” – her adorable four-year-old son and life in general. At the same time, she explained how to build an audience on our blogs and develop loyal fans for our books. One point she stressed is the need to connect with readers on a personal level. That’s something I plan to work on starting here and now. Right, but how? Thinking, thinking . . . aha! Let me get the ball rolling by telling you about a time in my childhood when I was bullied. It’s a topic we hear about on the news all the time, but that’s not the same as experiencing it yourself. I did more than once while growing up. The first time occurred when I was in fourth grade. There was this boy who thought he was top dog on the school playground. Every day at recess, he threw his weight around. The other boys followed his lead, intimidating us girls, especially me because I was the bully’s rival in class. He resented me for one-upping him when the teacher asked questions. I admit I was kind of a showoff. Blame it on my dad. He was handicapped the same as I am, but that man was nobody’s pushover. He was proud and competitive and expected the same of me, which led to my confrontation with the bullyboy. One day he and his pals had been pushing the girls around, including me, showing us who was boss. Well, I got mad, picked up a rock – not a real big one, but big enough to sting – and threw it at him. OMG! You’d think I’d shot him. He starting balling like a baby and went running inside to tattle on me. Moments later I stood in front of our teacher, getting chewed out for throwing the rock. It wasn’t pleasant for a girl who loved being teacher’s pet, believe me. But I had the last laugh. After that day the bully steered clear of me. Have you ever been bullied? I’d love to hear your story. Or, if you have experience with social media you’d like to share, bring it on. Do you love Maverick? I grew up with this iconic bad boy, and James Garner played him perfectly. Watch any western and when they show a saloon scene, there are always men playing poker or faro. It's ubiquitous—and that's one of the few areas in these programs that are truly authentic. Gambling was considered an honorable profession in the Old West, certainly not a vice as it's seen today. Of course, there was the seamy side, just as there has always been in any other profession. Part and parcel with gambling comes bilking, and there are several enduring methods that worked and are still being practiced today. Just go to YouTube and you'll see! The person must have money. He must be greedy enough to think he can outsmart the gambler to make even more easy money. After supper I got my men in the barber shop, pulled out my three cards [3-card Monte will be explained below], and began to throw them, at the same time telling the men I had lost $1,000 at the game, and that I was going to practice until I could throw equal to the man that had beat me out of my money. They all took a great interest in the game, and could turn the right card every time for fun. About this time the “capper” came up, and said he was positive he could guess the card, and kept insisting on betting me $100; so at last I concluded to bet him, and he lost the $100. Then the fun commenced. One of the chicken men [chicken farmers who had just sold their stock] saw the corner of the “right” card turned up; so he jumped up, and wanted to bet me $500 that he could pick out the “right” card. I told him I did not want to bet, but if he made it $2,000 I would bet him, and if I lost I would quit. At the same time I pulled out a large roll of small bills, with a hundred dollar bill on the outside, and laid it on the table. The chicken men held a council of war, and of course they all saw the corner of the “right” card turned up. They went for their sacks of silver, and planked down four of them, with $500 cash in each. They picked out their man; he turned the card with the corner turned up; but, of course, it was not the “right” card. So there you have it, a lesson from one of the best. Lots and lots of money lined gamblers’ pockets in the late 1800s (and even now) from unsuspecting people on the game of 3-card monte, which is a take-off of the ancient shell game and requires skillful sleight-of-hand. George Devol, a Mississippi riverboat gambler, took huge bets of $2,000, $5,000 and more—and won. He often played with one of the best 3-card monte players of all time, Canada Bill Jones. The first ingredient is to find a fish who is greedy and gullible. Remember, the only way a gambler could fleece a man out of his money is if that man thinks he’s fleecing the gambler. 3-card monte calls for a dealer, a capper, and three cards: two are often jokers, one is commonly a queen or ace. This card is called the “baby.” All three cards are slightly bent in the middle. The gambler tosses the cards, interchanging each with the other, while telling the crowd, “I have two chances to your one,” but making the fish believe he has a sure shot at picking the baby. For detailed instruction on how to reel in a fish, toss or “throw” the cards (and cheat), and some typical patter, see The School for Scoundrels Notes on Three-Card Monte by Whit Haydn and Chef Anton. If you page down several times, you can read the section on “the hype,” one of the sleight-of-hand movements that guarantees the gambler a win. In my latest release, Sleight of Heart, Burke O’Shaughnessy is a gambler and prestidigitator (sleight of hand artist) who isn't averse to throwing a little 3-card monte now and again to augment his next stake. Here's an excerpt where Burke raises some traveling funds. The heroine, Lexie Campbell, hasn't come around to his way of thinking. Several gentlemen, some of whom looked to be prime for the picking, had gathered around but none had yet to place a bet. What he needed was a good capper. He hadn’t trained Lexie yet, and besides, she still had qualms about taking money from people who wanted to give it away. “I’ll pick a card.” A familiar voice—Charity! He was sure glad to see her and that innocent look of hers. The gents appreciated her curves and low-cut gown. “I don’t think it’s a good idea.” She turned to leave. And of course she won. Burke paid, then suggested they play another round, which Charity agreed to. This time she purposefully picked the wrong card, working the gents up into a frenzy. Burke asked one especially lucrative-looking fish to pick the correct card, which he did. The gent was duly hooked, greed in his eye, certain to win. But it was not to be, for the throw of the cards didn’t favor him, to the tune of several hundred dollars. Others were eager to win as well, and Burke took all the money they forked over. And then he bought them all drinks and cigars. Before the hour was over, he had a fat wad of bills, which he’d split with Charity once they made it to another car. “I’m surprised you threw so well with those skinned knuckles,” she said as the two of them headed to Lexie’s table. “Skin cream from an old Indian lady. 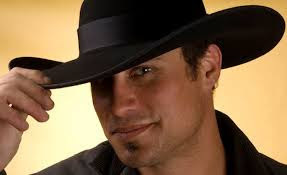 Thanks for helping out—we made quite a haul.” He pulled out a chair opposite Lexie and seated Charity, then he sat beside Lexie, who didn’t look at all excited that they’d won big. There was that blasted “mister” malarkey again. By now, their kisses ought to entitle him to be called by his first name. He was sure she was as fired up as he’d been. He’d done it many times before. 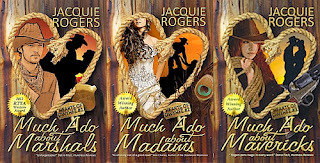 Charity placed her handbag under the table and while Burke took a sip of coffee, he secreted the money up his sleeve, and when he leaned back, dropped it into the bag. She left without a word, but he knew she’d catch up with him once she’d taken care of her own business. is available at Amazon and soon at other online stores. Available in print November 1. 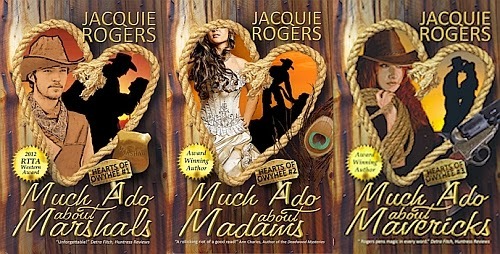 Sign up for Jacquie's newsletter! 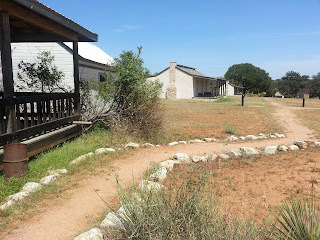 Fort Martin Scott was the first frontier fort built in Texas. For me the fort holds special meaning as it’s part of my heritage, but more on that later. The fort has a long and interesting history, one that surprised even me when I began doing more research. Behold a painting of an early American scene. The depiction of Fort Knox was rendered by Brigadier General Seth Eastman sometime between 1870 – 1875 and about twenty-two years after he is believed by many to have established Camp Houston in Fredericksburg, Texas in 1847. Some believe the fort to have its original roots in 1845 when Texas Rangers patrolled the area. In 1849 the camp would be called Fort Martin Scott. Though Seth was an artist at heart and gave America many such wondrous scenes of life on the frontier, he was also an officer in the United States Army. Prior to his time in the hill country of Texas, he served at Fort Snelling where he married a Dakota chief’s daughter who bore him a daughter. 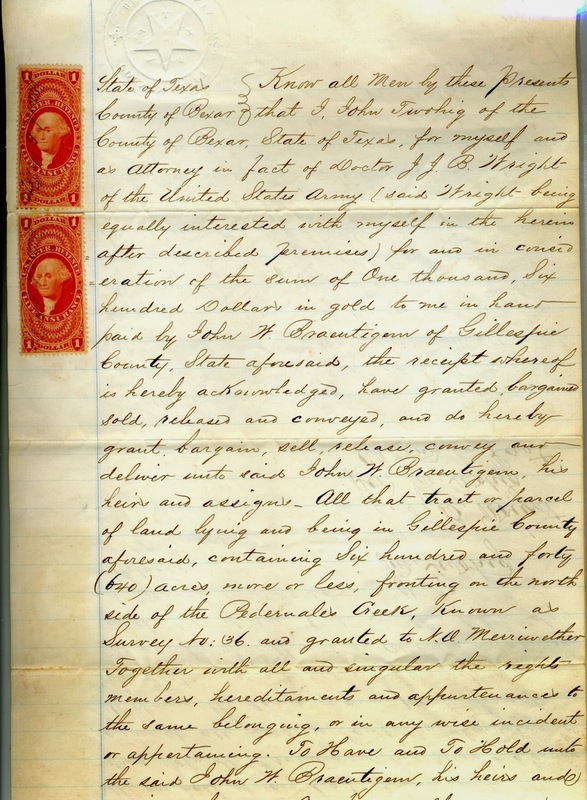 When he was asked to return to West Point in 1832, he had his marriage annulled. Later he would marry Mary Eastman. Of interesting note, his grandson from his first marriage, Dr. Charles Eastman, became the first Native American to become a certified doctor and was also the co-founder of the Boy Scouts of America. Seth’s second wife, Mary Eastman is also well known for her literary works. She authored Aunt Phillis's Cabin: or, Southern Life As It Is (1852), one of the most popular of the anti – Uncle Tom’s Cabin books. But let’s get back to Fort Martin Scott. The Fort served as a base of operations for troops serving the Perdernales, Guadalupe, Llano and San Saba River Basins. While there existed a very important treaty between the German community and the Penaketas Comanches, other Native Americans in the vicinity, including other Comanches, Apaches and Tenawas, did not recognize the document and proved a serious threat to the settlers. Originally established to help protect settlers in the surrounding area against Indian problems, the fort was deemed unnecessary as a troop post in 1853. 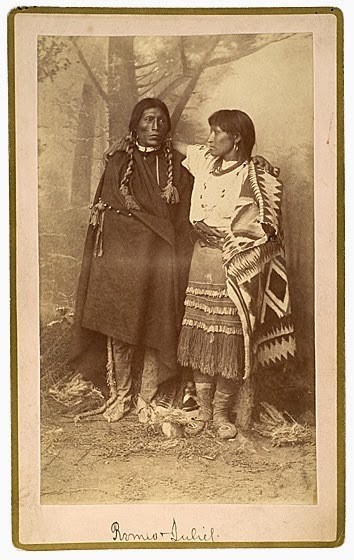 This was due in part to the peaceful nature of the Germans who lived in Fredericksburg, their willingness to get along with the Native Americans in the area and the Fort Martin Scott Treaty (1850), an unratified treaty between several Indian tribes and the U.S. However, the fort became a supply depot for government trains travelling westward to other forts as they made regular stops in need of corn and hay. 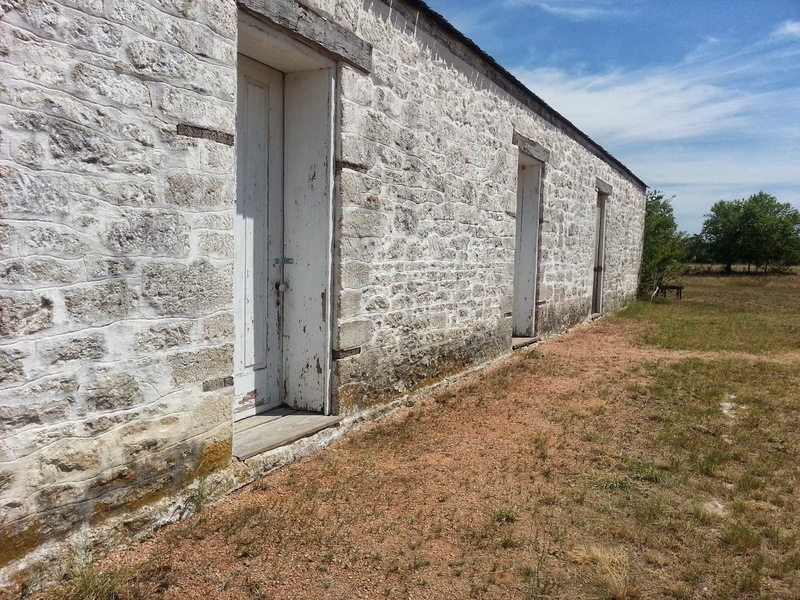 After 1853, the Texas Rangers would also use the fort’s facilities when needed and when the Civil War broke out, confederate troops would also make use of the property on occasion though they never officially occupied the fort. Darkness hovered over the establishment when Quantrill’s men and Duff’s Partisan Rangers operated out of the fort for a short time. Both entities were bent on “discouraging” Union sympathizers by often cruel and violent methods. After the Civil War, the army saw a need to protect the nearby citizens from Indian difficulties and occupied the fort for a short period of time during 1866 but by December of that year, the fort was once again abandoned. Some of the buildings were torn apart to provide materials for other settlers. 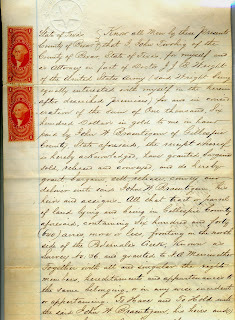 The original deed. Note the lined paper. Interestingly, it is thought that the property on which the fort was built was never owned by the army but was instead leased from a Mr. Twohig which makes sense because Twohig’s name is on the bill of sale. On March 12, 1870, papers were filed, the sum of $1600 in gold paid, and Johann Braeutigam took possession of the fort properties. He, his wife and nine children moved into one of the two remaining buildings. He then built a store and saloon. Braeutigam’s Gardens also boasted grapevines, hackberries, native trees and a racetrack for horses. 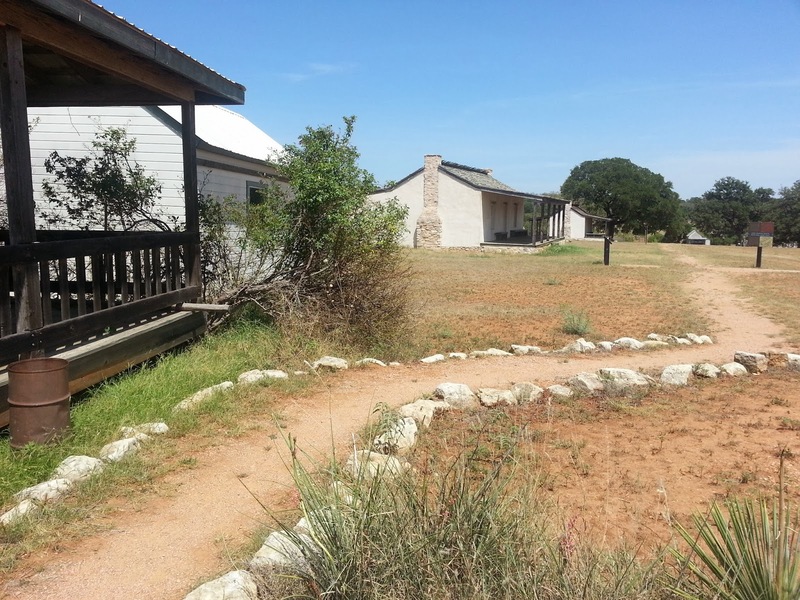 He’d turned the property into a place to come “play” and in 1881, the first Gillespie County Fair was held on these grounds. The property served as a huge entertainment center where weddings took place, dances occurred in the dance hall and horse races commenced. On September 3, 1884, four men came into the saloon and demanded the owner turn over his cash box. Johann took exception and went for his musket. The shots from Colts could be heard all the way to the main house. The men took off after stealing only a small amount of cash from the cash box. Johann’s ten-year-old son, Henry discovered the body. The townsfolk of Fredericksburg were outraged, Johann and his wife being well loved by all. Texas Ranger, Ira Aten and his men began a hunt that resulted in the apprehension of three suspects and then, later a fourth. However, the man suspected of firing the killing shot, James “Jim” Fannon (or Fannin), alluded authorities and was never apprehended. 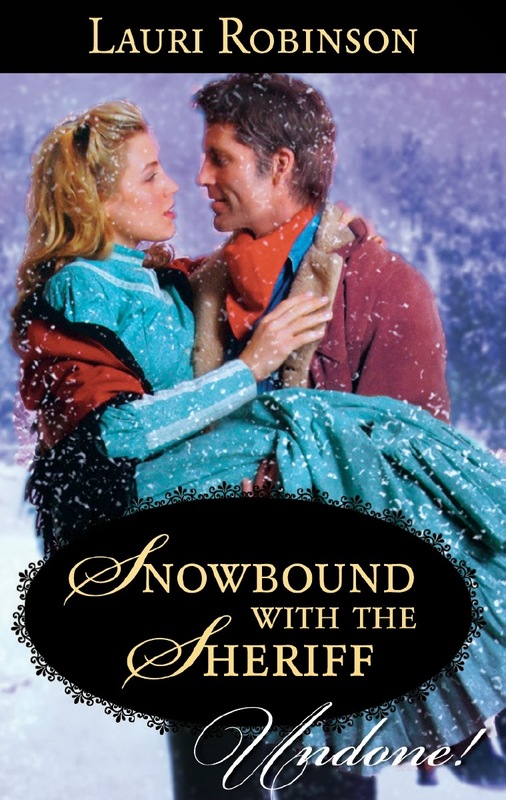 To hear more about Ira Aten’s involvement in bringing the murders to justice, come visit my blog post on Sweethearts of the West. Of course, in researching this part of the story, author Bob Alexander offered another version, one I'd never heard. In the footnotes of his book, Rawhide Ranger; Ira Aten: Enforcing Law on the Western Frontier, Alexander found a written version that differs from the one the family always told. Since the property had horse racing, Wes Collier from a neighboring town decided to try his luck. He supposedly won the race and a huge pot of money which made the locals upset. Since it was late, the locals decided to put the money in Braeutigam's store for safe keeping until they could figure a way from having to give it all to Collier. The next morning, he went to retrieve the money, an argument ensued and Braeutigam was killed. The family has always maintained that it was Fannin who did the actual killing so who knows which version is more factual. The Guardhouse, one of the only original structures left. This became the living area from the Braeutigams. 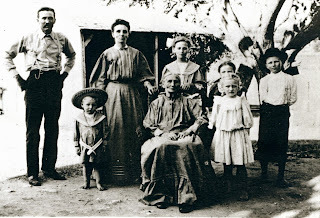 After the tragedy, Christine continued to raise her eleven children at the homestead. When he came of age, Henry took over the running of the farm. He married Clara Gold (yeah, she was the inspiration for my pen name, she and my daughter’s friend, Ciara) and together they had seven children. Their oldest child, Hortense, was born at the fort and lived there until she married. Her two sons, Edward and John, spent summers staying with their grandparents and playing on the old fort site. And now as Paul Harvey would say, for the rest of the story; Johann Braeutigam was my great, great grandfather. Henry was my great grandfather. When I was just out of college, my father and I snooped about the property before the city started reconstruction. This past fall, my mom and I went to the site and gathered pictures though at the time, the buildings weren’t open for us to look inside. 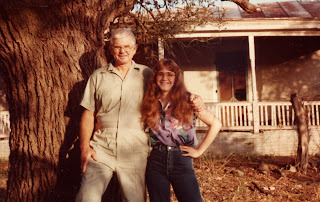 My father and me in front of one of the buildings, circa 1980. The top photo is circa 1908, the Braeutigam family with Henry on the left, Christine Braeutigam in the center with Hortense behind her. 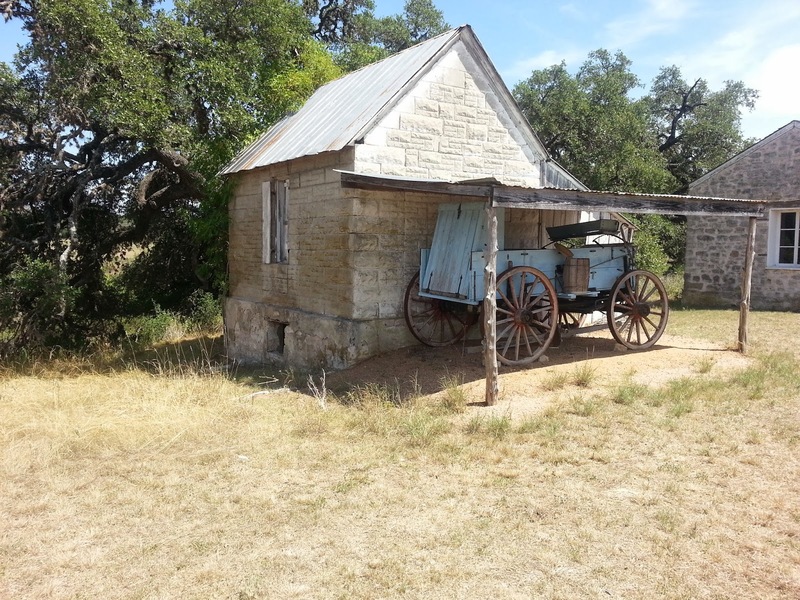 The photo was taken in front of the smokehouse/cellar, the building with the wagon in front.